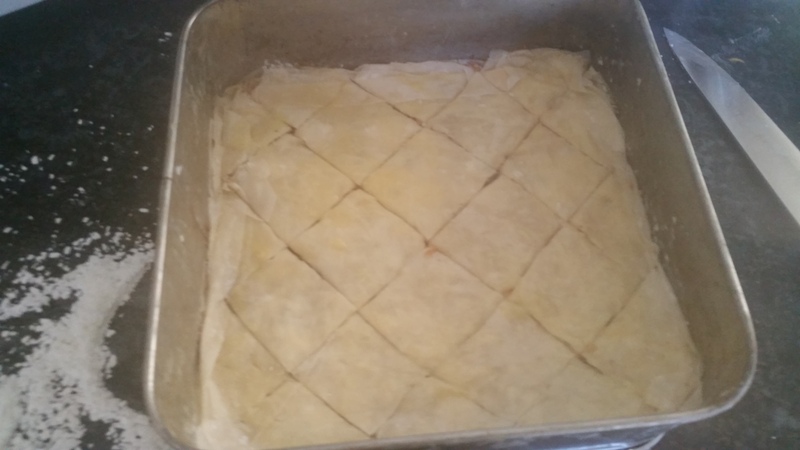 I’ve been wanting to try to make baklava for a while – I love it. However, I know that my family are not overly keen, they find it to sickly and sweet. Anyway, the other day i had some filo pastry left over from dinner and decided some experimentation was in order. I am the biggest peanut and chocolate fan, whether it be snickers, peanut butter m and ms, the peanut kitkat, I love them all. I decided that I would try to incorporate this into a baklava. 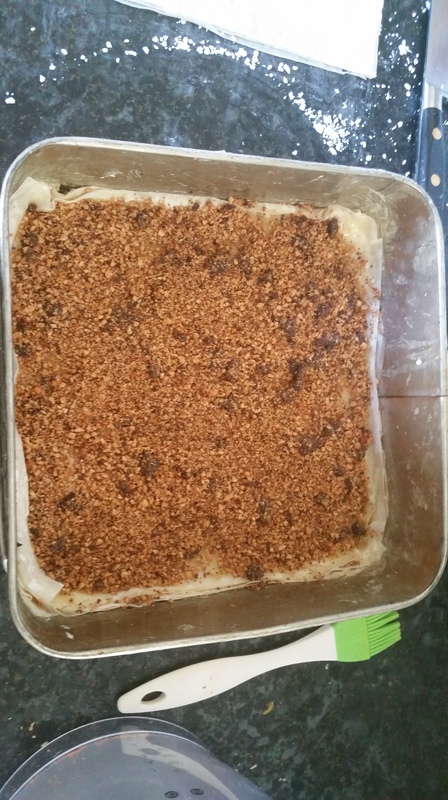 I looked up a recipe on Jamie Oliver’s website and used it as the basis for my version. A traditional baklava is normally made by baking chopped nuts (often pistachios) in between layers of filo pastry and then pouring a honey/sugar syrup over the top to make it stick together. I decided that instead of pistachios I was going to put a mixture of chopped roasted peanuts and chocolate. Instead of using a honey syrup, which I thought might be a bit too floral for the peanut/chocolate combination, I made a runny caramel and used this to sandwich it all together. Add the cream/milk mixture slowly, beating after each addition. Set the caramel aside to cool. Cut the baklava into pieces before you bake it. Make sure that you cut all the way through to the bottom. Bake at 170 degrees for 30 mins or until golden brown. 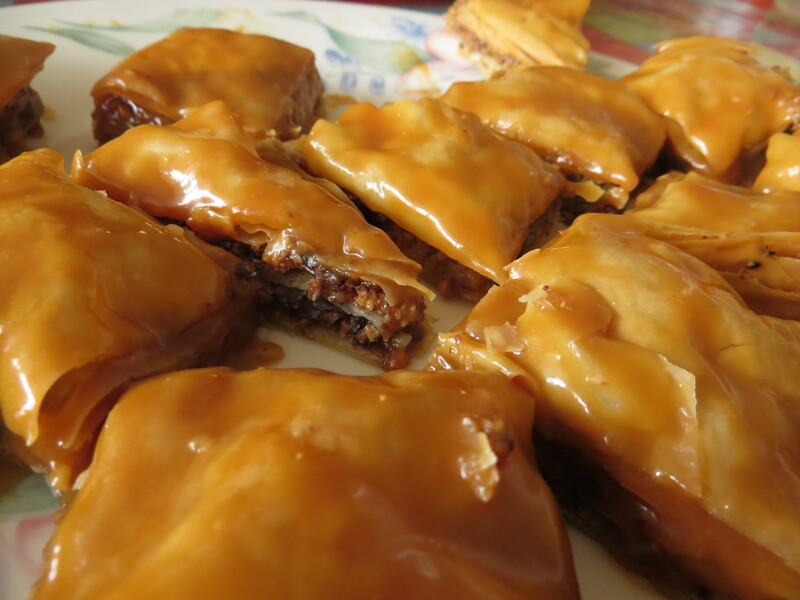 While the baklava is baking, check on your cooled caramel. If it is incredibly thick then thin it with some milk. 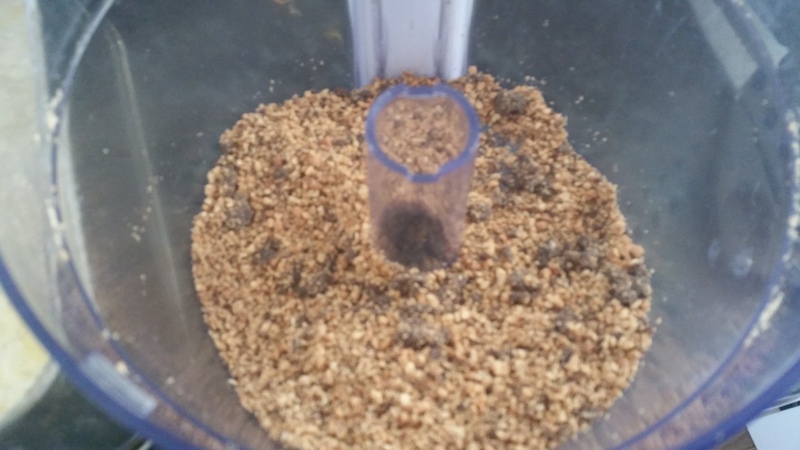 It needs to be of a syrupy consistency that can be spooned over the baklava and seep down to the bottom. When the baklava is cooked pour/spoon over half of the caramel, let it rest for five minutes then spoon over the other half. When the baklava is completely cool you can take it out of the tin and tuck in! Glad we got your seal of approval! Such a creative idea and it sounds heavenly!